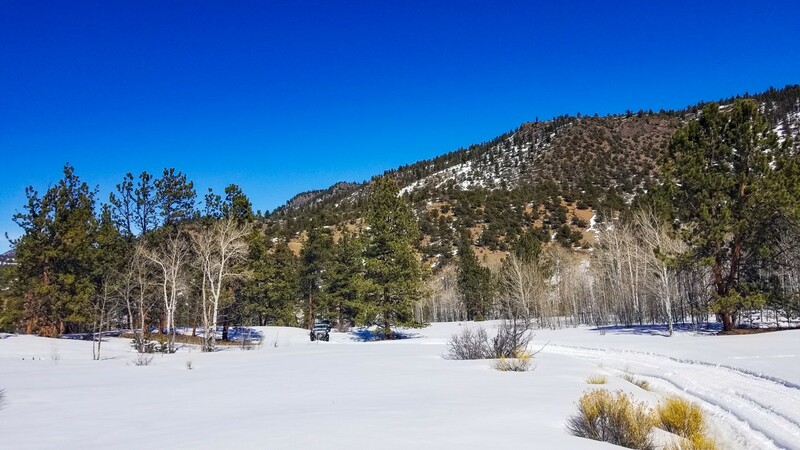 Bald Mountain Gulch (FS Road 300) is a 4WD road in the Fourmile area of Colorado, southeast of Johnson Village. Bald Mountain Gulch traverses scenic, high elevation terrain in a northeast to southwest track. 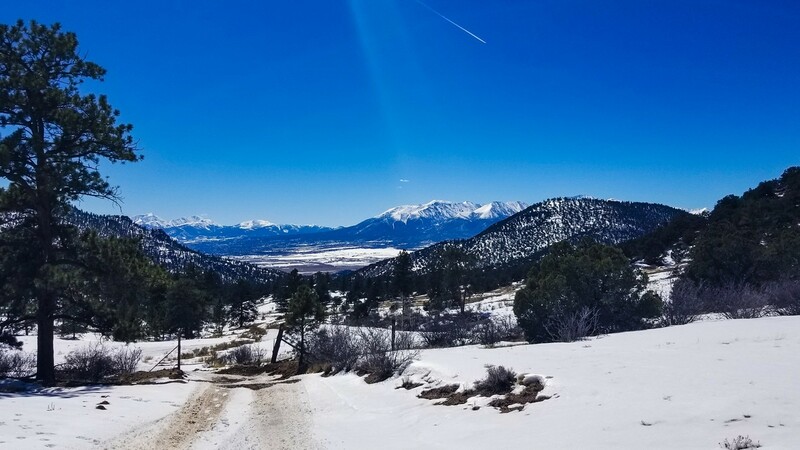 It provides the 4x4 enthusiast spectacular rock formations and sandy terrain, plus occasional tawny rock-framed views of the Collegiate Peaks. 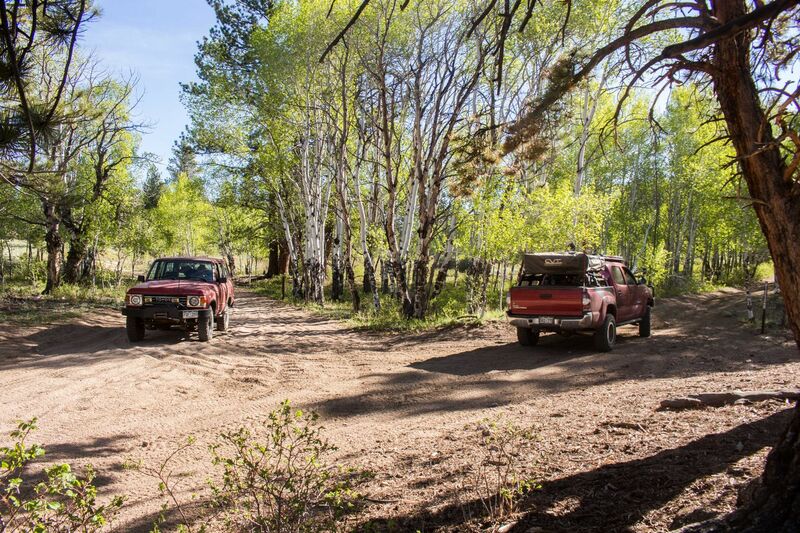 There are numerous 4WD roads in the vicinity, making Fourmile an ideal destination for a weekend of 4x4 trails, camping, hiking, and fishing. Bald Mountain Gulch is recommended to drive in conjunction with Bald Mountain Loop. Typically, more rock or undulated road surface. Potential rocks and/or tree stumps less than 12" tall and/or vertical ledges less than 12" tall and/or near vertical ledges or waterfalls less than 24" inches. Tire placement becomes more difficult. Can be steep. The northeast segment is generally dirt road with patches of bedrock traversing open meadows and mixed forest. The mid-section transitions to a broad sandy wash and becomes narrower in the southwestern segment. Driving southwest, the final mile departs the wash and traverses caliche hills with a relatively steep descent into the parking lot at the Brown’s Canyon Wilderness Study Area. This road is suitable for stock, high clearance 4WD vehicles. Turn into the parking lot where you see the well-marked sign and the information kiosk. Steer left past the information kiosk and proceed south/southwest. The unmarked road is a shortcut. Where the main road goes straight then right, this shortcut climbs over exposed bedrock and ties-back to the main road in 300 yards. This is where the shortcut returns to the main road. Continue on the main road toward the south/southeast. Stay to the left on the main road. The mine spur goes off to the right (west). Steer left to proceed on the main road. Trail 1423 is a restricted-use trail. Continue straight over the cattle guard. This is the first of several you will encounter. The cattle guards appear to have recently been emplaced (replacing gates). Turn left (south) in the small clearing/staging area at the trailhead of FS Road 300A. Proceed straight across the cattle guard. Continue straight over the camping ridge. This a high-elevation point and there are two-track spurs to both the left and right which take you to campsites with existing fire rings. 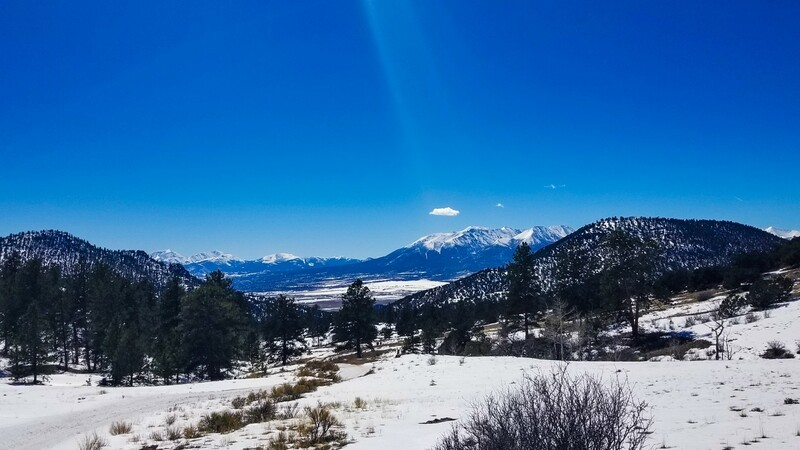 This site provides a gorgeous view of the Collegiate Peaks on clear weather days. Continue straight past the intersection. Proceed down the sandy wash across this cattle guard. The main road continues straight, but if you have time (about 1.5 hrs) available, the Bald Mountain Loop is well worth it. The views from atop Bald Mountain are extraordinary. Continue straight past the intersection with Trail 1434; like the previous 1400-series trail, this one is a limited-use trail. Continue straight past the intersection with FS Road 300C. Proceed straight across the cattle guard where signs indicate you are "Leaving San Isabel National Forest". Follow the road as it twists and turns, descending more sharply now. This was the first point to provide a glimpse of the Collegiate Peaks since coming down the camping ridge (WP 9). Arrive at the parking lot for Brown's Canyon Wilderness Study Area and the Brown's Canyon hiking trail. FS Road 300 continues west from this point as an improved surface road. To drive from the northeast towards the southwest: Take U.S. 285 to Chaffee County Road 307. Follow CR 307 for approximately one mile and turn on FS Road 187 (Bassam Park) and continue about one mile until you see the marked trailhead for FS Road 300. To drive from the southwest to northeast: Take Highway 285 to Johnson Village. One-quarter mile east of Johnson Village, turn south onto Chaffee County Road (CR) 301. Follow CR 301 and turn left on CR 300 just before getting back to U.S. 285. Continue on CR 300 through the Ruby Mountain Campground; the Bald Mountain Gulch trailhead is ahead at the Brown’s Canyon Wilderness Study Area parking lot. There are numerous sites suitable for dispersed camping along Bald Mountain Gulch. Recommended sites include the area near the northeast trailhead, the area around Waypoint 4, the trailhead of FS Road 300A (Waypoint 7), and the scenic ridge (Waypoint 9). The nearby and connecting roads also have suitable sites for dispersed camping. Additionally, the towns of Nathrop, Johnson Village, and Buena Vista each have commercial campgrounds with all amenities and services. For more camping information, see Arkansas Headwaters Recreation Area Camping managed by Colorado Parks and Wildlife. Tracy is an outdoor enthusiast originally from north Alabama. 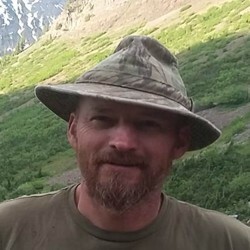 Tracy's family moved to central Utah when he was a child, and subsequently to southern Utah. These family moves established a precedent, of sorts, as Tracy has lived in numerous states over the past three decades. Tracy is now settling down in Colorado Springs. 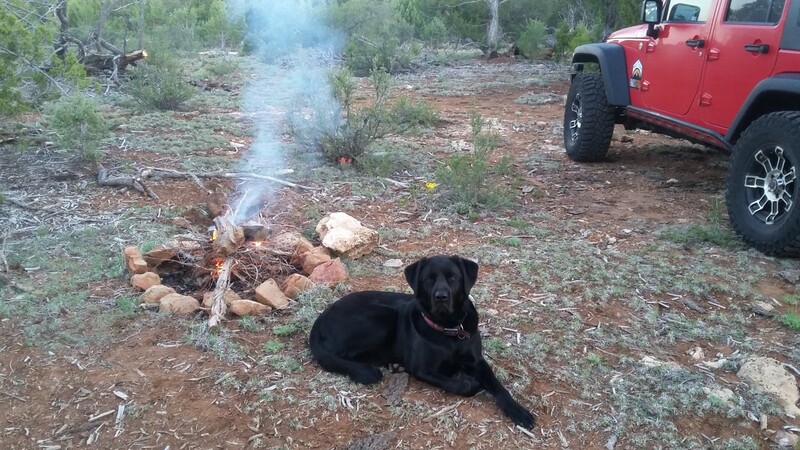 His favorite activities are family trail rides and camping with small groups. This, too, is a precedent started many years ago in dad's pickup truck, followed by Tracy's first 4x4 acquisition, a 1975 Ford Bronco (in 1991). Tracy aspires to climb some of Colorado's venerable 14'ers while traveling some of the notable and not-so-well-known 4x4 trails in the Centennial State. 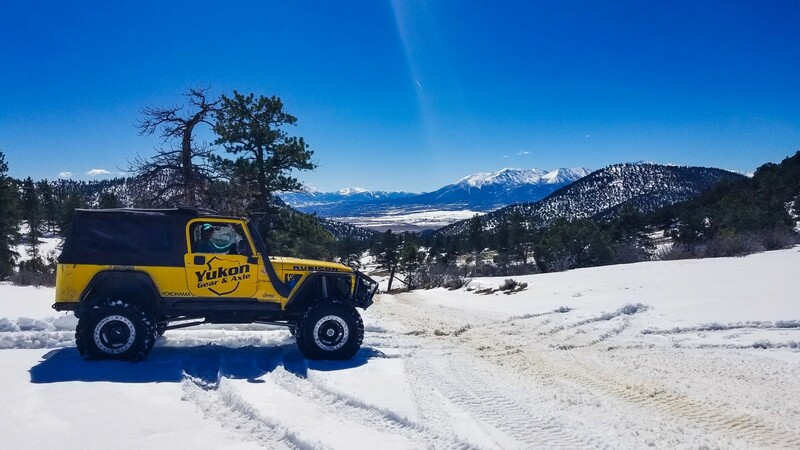 He's excited about contributing to Trails Offroad because the site is committed to meet a critical 4-wheel drive enthusiast requirement--current and accurate trail data. Snowy but passable for most rigs. Really nice and warm weather this weekend started melting a bunch of the snow and made sections down to dirt really muddy. Updated links, added photos and camping suggestions at waypoints. Bald Mountain Gulch combined with the Loop is a favorite in this area southeast of Buena Vista. We did a small portion of this trail after coming down 185D. We camped on the ridge and beautiful weather which was perfect for a night of camping. 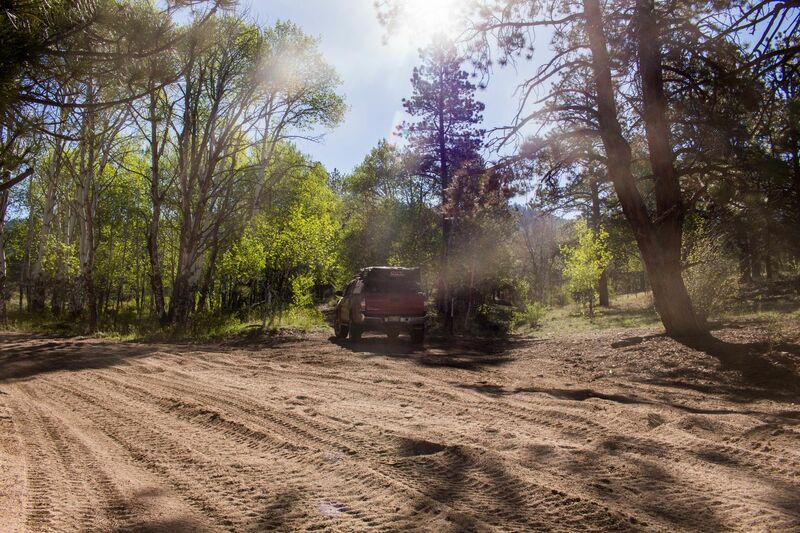 Because of the weather, most of the off-road trails along the front range are closed. There are a number of trails in the Buena Vista area are currently open. When the trailsoffroad.com crew had a Meetup gathering in Buena Vista, I decided to take advantage of the trail availability in the area. Bald Mountain Gulch was in great shape. Because there has been very little snow in the immediate area, the trail was mostly dry. On our way to Buena Vista we decided to get off pavement and onto some dirt. This is a super easy road that I have yet to drive on a clear day. Even on an overcast day the views of the Collegiate Peaks are amazing! Drove the Bald Mountain Gulch Road (FS Road 300) late in June to update the original status from the prior summer. This is a really fun trail either direction, and the Bald Mountain Loop was extraordinary. There's lots of sites along this route for primitive camping--my favorites are near the northeastern trailhead and then the "camping ridge". Little traffic observed this weekend, mostly quads/ATVs and UTVs. I wanted to do a trail not to far from Denver, and in an area that wasn’t effected by the Front Range’s bad weather system that was happening. Being a fairly gentle trail I felt comfortable doing this if it snowed or rained where I wouldn’t risk sliding into trouble. 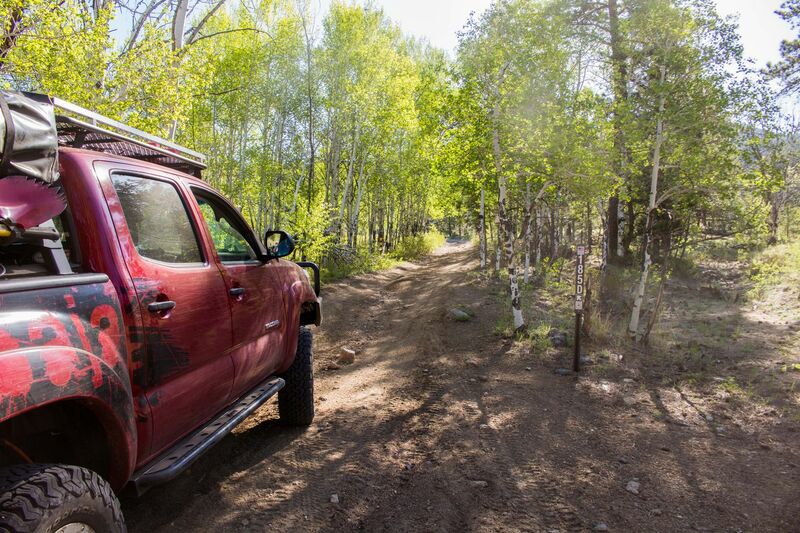 This trail allows you a little more off-road action if you are planning on doing Bald Mountain Loop or Chinaman Gulch. Bald Mountain Gulch connects you directly to Bald Mountain Loop, as well as Bassam Park Road, and 185D, which is a spur off the Black Dumps trail. By taking this trail you cut off a good ten miles of 285, the main paved road in the area. If you take this trail from East to West you arrive just south of Johnson Corners, where you can be at the Chinaman Gulch or Carnage Canyon trailhead within 5 minutes. I found the trail to be more stoic and aesthetically pleasing running it from East to West where I had great views of the Collegiate Peak. As you arrive at the high point of the trail at 9,400’ you get a great view looking down at farmland and the Collegiate Peaks. From there you wind down through woods of conifers, aspens and other hardwoods. Towards the end you get to go through some really interesting rock formations that the trail winds through. 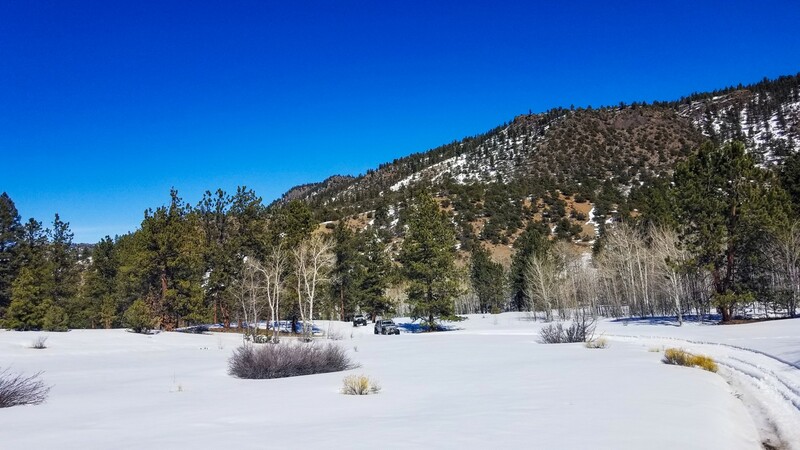 At the western end you travel down the steepest part where the views are even better and finally end up at the trailhead which is also shared parking for the popular Browns Canyon hike.